Shuttle Hours: 24 Hours a day every hr need to call to schedule. Pick ups on demand. Two Miles From Phoenix Sky Harbor International Airport With Free 24 hours Airport our shuttle runs every 1 hour example: 1:55, 2:55, 3:55, 4:55, etc (we out sourced the shuttle) . ** YOU NEED TO CALL THE LOT A DAY IN ADVANCE TO RESERVE YOUR SHUTTLE RIDE(602) 275-7651; IF YOU ARE NOT ABLE TO CALL A DAY IN ADVANCE SHUTTLE WILL BE PROVIDED ON AVAILABILITY BASIS ONLY***. Plan to arrive to the parking location at least 15 minutes prior to the time that you will need to be riding the shuttle so that you can check-in your car. 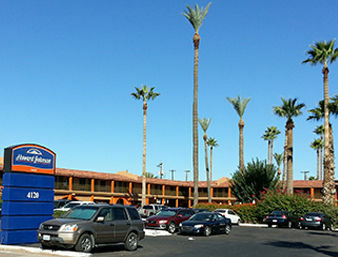 Upon your return, please contact the hotel in order to be picked (602) 275-7651 and wait at the hotel shuttle pickup area. We provide safe and affordable airport parking with FREE shuttle service to and from the airport! Reservations must be made online in order to take advantage of this internet-only special parking rate. Address will be provided on the confirmation. No room reservation needed to park.